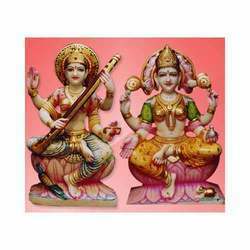 We have for our clients a wide collection of Shwetambar Idols or moorties along with Black Buddha Idols & Religious Shwetamber Idols, that is made using high quality marble. These marble idols come in a variety of colors and color combinations. These are exquisite pieces of art reflecting the smooth finish and polish. 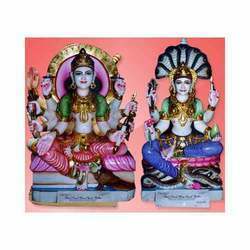 Our Devotional Shwetambar Idols are attractive in colors and have fine finish. Our skilled artisans have made these idols from high quality marble. With a lot of emphasis given to the details of the facial expression of the figures of Gods and Goddesses, we also take care of the finish given to these Devotional Shwetambar Idols. The attractive combination of our Religious Shwetambar Idols have helped them create a wider market for themselves. These idols are not only designed to arouse sensation in the market. Our religious Shwetambar Idols come in varies sizes. We use only high quality marble for making these idols.